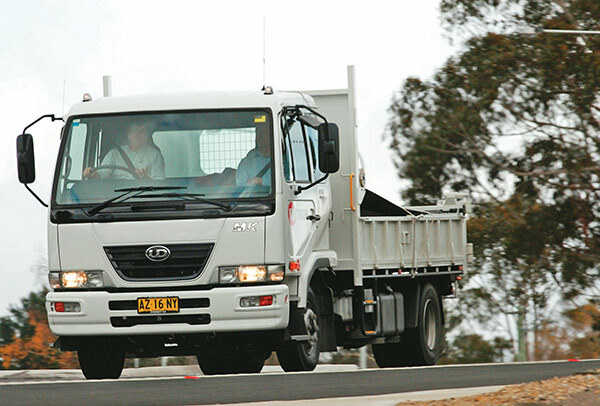 Quite possibly the most congested segment of the Australian truck market is the 8 to 12-tonne medium-duty section, where the best of Japan takes on the smaller models from of the European manufacturers, while the Americans watch on with interest. If nothing else, this intense rivalry proves there is truth in the old adage ‘competition improves the breed’. 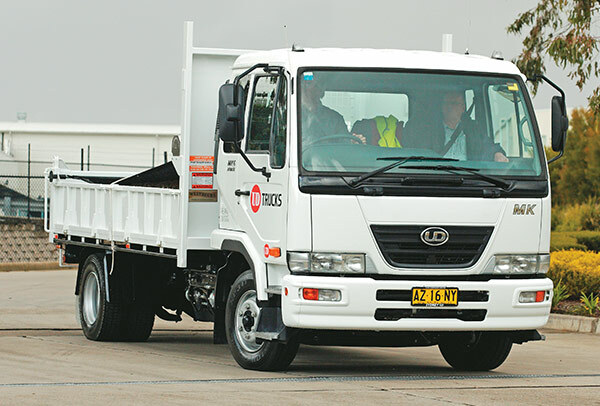 Just witness Isuzu’s efforts with the upgraded N- and F-Series trucks, along with Mercedes-Benz and Volvo waging a private battle for the title of ‘Australia’s Safest Truck’. That is not to say the other manufacturers have been sitting on their laurels — far from it. Every truck in this segment has had an upgrade of some sort or another in the last 18 months, with the promise of more to come as Euro 5 looms on the horizon. UD was one of the first to show off its updated trucks, back in August 2008, which included the revolutionary Allison automatic transmissions as an option on virtually every truck in the range, including the MK6 models. 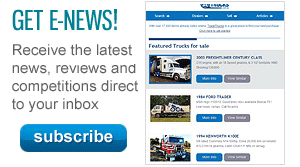 Power levels have remained virtually unchanged since the new trucks were released. UD continues to purchase the excellent Hino engines, which provide ample torque to push the auto models along in traffic. The Hino engine is a delightfully punchy engine. The on-road characteristics are impressive: quiet operation throughout the rev range, as well as an excellent exhaust brake which seems tailor-made for Allison automatic transmissions, working to drag the truck backwards as soon as it is activated without intruding on the cabin. While not excessive at 168kW (227hp), the J08E-TE produces a very usable spread of power which is the key to the success of the UD. This is not an engine that needs to be pressed hard to get good results. 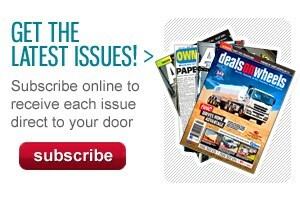 Simply keeping inside the ‘green band’ on the tacho is sufficient; this also contributes to getting good fuel economy. 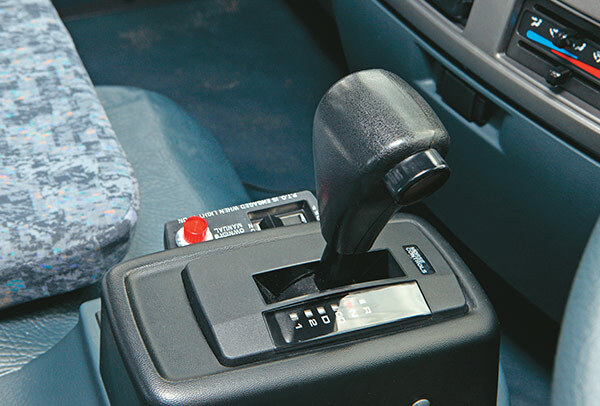 There has been plenty of discussion around whether an auto transmission has a place in a truck cab, or if it’s making the job too easy. For mine, so long as the transmission is up to handling the task at hand what does it matter if you are leaving it up to the truck to do the hard work? And if at the end of the day you climb down and walk away without suffering from worn out knees and shoulders from wrestling clutches and gearshifts all day, so much the better. Yes, there are still times when a manual is preferred, but these tasks are becoming rarer, particularly in light and medium-duty trucks. So why not make the most of the technology available? First impressions of the updated UD range are of trucks designed to work, not play, that have enough room for even the biggest drivers, good access and little in the way of frills. The door opens wide to give easy access. There is solid three-point contact at all times, making entry not just comfortable but also safe. The steering wheel offers plenty of adjustment for tilt and reach, which makes getting comfortable, well, comfortable. One improvement I personally appreciate is the larger seat compared to the smaller trucks in the range. As someone who is the high side of 185cm and the wrong side of 120kg it makes a big difference — especially if you are driving all day. Once settled behind the wheel the next thing you notice is the clear dash layout. There are big dials that are easy to read and include a speedo and tacho, and smaller but no less readable gauges for water temperature, fuel and the air brakes. The controls for the auto transmission are similarly simple. The stubby shifter is a slimmed down version of the ‘T’ stick found in most cars, with positions for Reverse, Neutral and Drive, as well as the ability to lock out gears for downhill runs where the driver might not want the gearbox to upshift. As there is no clutch pedal needed for the auto, there is plenty of foot room. My size-11 boots felt right at home either side of the steering column, while the pedal angle is also a nice shallow one to eliminate ankle ache from having your foot bent up towards the firewall. The door mirrors are sizeable, with spotter mirrors in the bottom section on both sides which came in handy for precision reversing and keeping an eye on motorcycles and crazy car drivers alike. It comes with the penalty of enlarged blind spots, particularly when turning right at T-intersections, but to be fair UD is not the only manufacturer with that problem. The windscreen is a slightly curved single-piece unit with good all-round vision. And there’s plenty of side and rear vision through the door and rear windows for reversing into tight spots to load or unload. While there are plenty of ‘paper’ benefits to the MK6, it is only when you drive it that you realise just how balanced a package this truck really is. It is one of those cases where, regardless of what you ask of it, there is always something left to answer the question — be it more power, extra braking or just the ability to get in and get the job done with minimum fuss. While it is hard to describe a truck’s steering as effortless, in the case of the UD it is probably closer to the mark to say it is direct. It certainly reduces the amount of work required, as generally you get the right line at the first attempt rather than swinging back and forth off the wheel trying to muscle it around corners. The combination of exhaust brake and Allison automatic transmission almost makes the service brake redundant (but not quite, you still need to stop at red lights). They work in unison to wash the speed off not just effortlessly but without hurling the occupants into the back of the vehicle in front of them. With these two components doing most of the work the driver is free to concentrate on the most important job, which is to navigate around town and get the load to the right place at the right time. Add to that the superb performance of the Allison under acceleration and you have a recipe for one of the simplest day’s work a truck journalist could ask for. You simply engage ‘D’ for Drive, let slip the parking brake and you are off. As previously mentioned, the torque curve is almost designed for the transmission. Right when you reach the top of the rev band the gearbox just goes up another notch and you are cruising along. The MK6 tested had leaf springs, as it was fitted with a Tiltip tipping and tilting tray body which meant it was just as likely to be carrying dirt, gravel or a bobcat on a regular basis. It made the ride a little firm, but the long wheelbase helps to damp the worst of the road feel. The Tiltip tray is a clever device. Made in northern New South Wales, it offers the ease of loading of a tilt tray, by extending the tray to out and then down, just like a regular tow truck. But in tipper mode it has the full height of a regulation tipper, making it perfect for landscapers and earthmovers working on smaller scale projects in urban areas. It has the versatility of both, with virtually no drawbacks. Even better, it is operated by remote control, which allows the operator to be clear of the truck when it is at its most vulnerable — with the tray raised and during the loading process when it is in tipper mode. So should you buy it? In a word, yes. There is so much to like about this truck, and so little to dislike, the decision is, well, automatic. While the vision could be improved, but virtually every truck we have tested has some sort of problem with the mirrors. 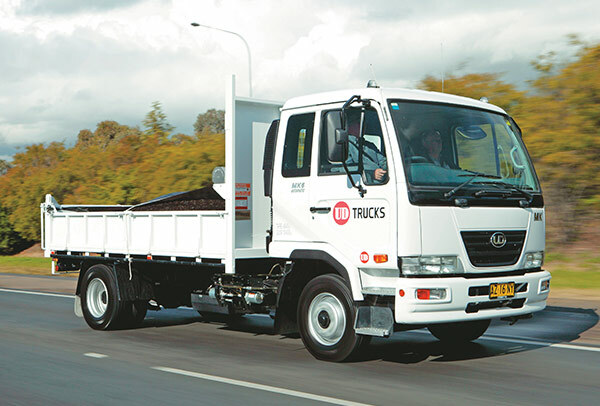 In a funny set of circumstances, the majority of my drives in UD product have been in trucks equipped with steel springs and configured as tippers, rather than body trucks, which almost always feature airbags. As a result, I have become attuned to the harsher ride of the heavier suspension (except in the case of shorter wheelbase models) where there is virtually no time for the truck to recover between shocks. UD has done a lot to get this right. The end result is a truck which acknowledges it is dealing with heavy loads, often on poor road surfaces, yet the ride for the driver remains civilised. Even after hours of driving, you are not left completely exhausted by the experience.